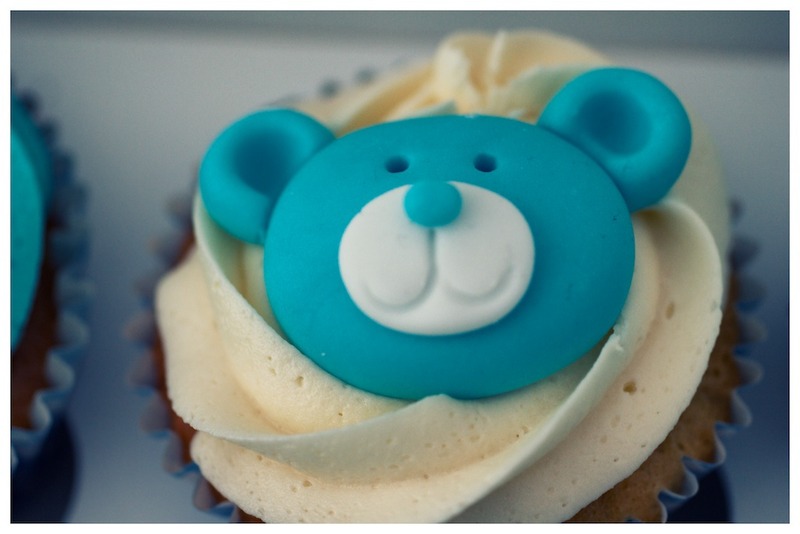 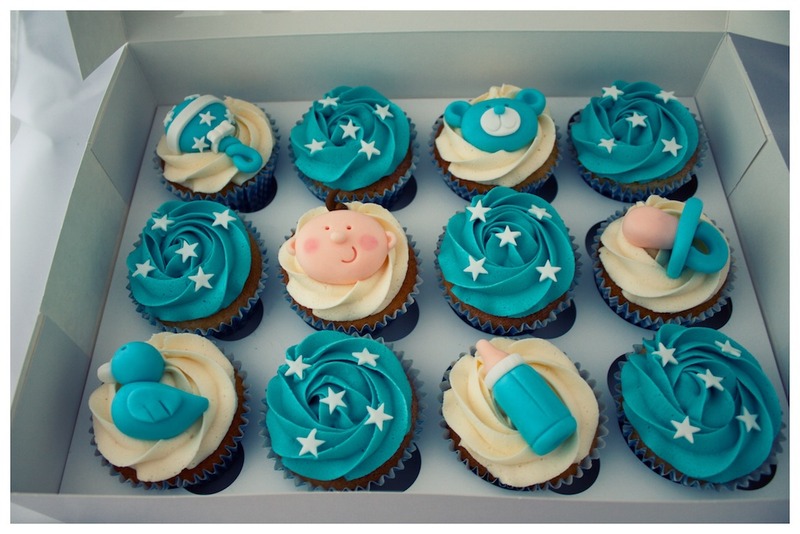 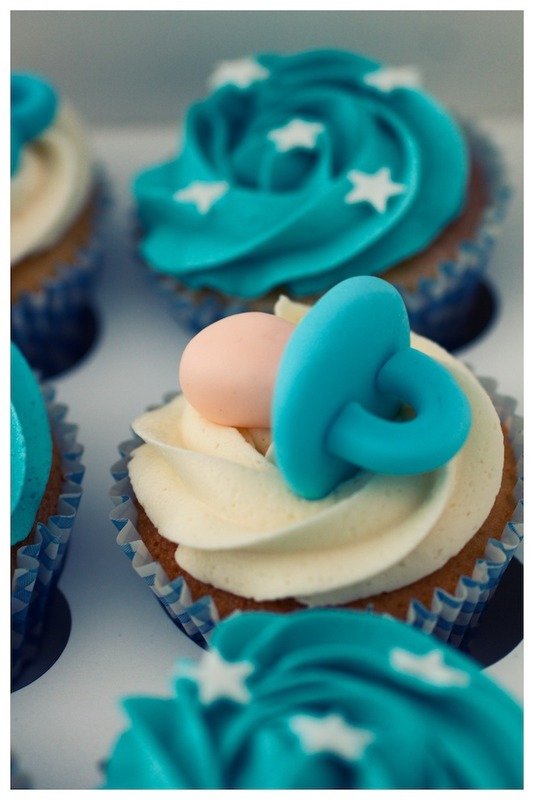 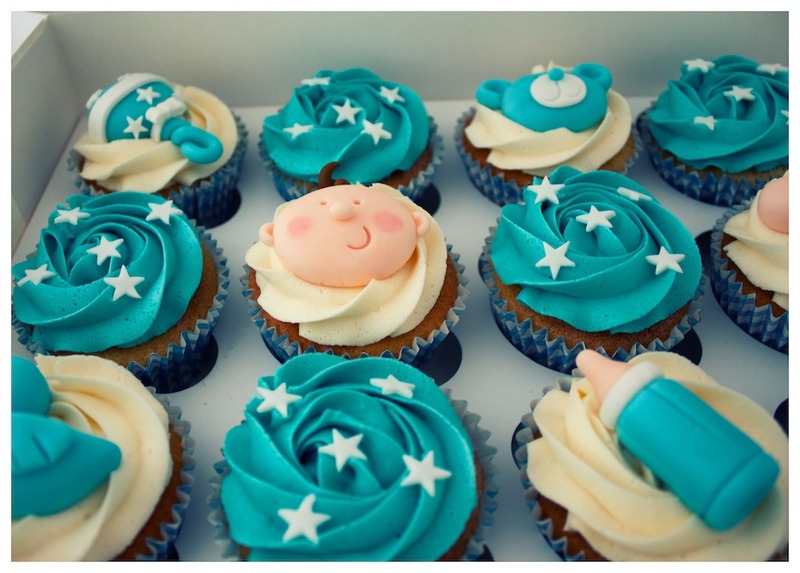 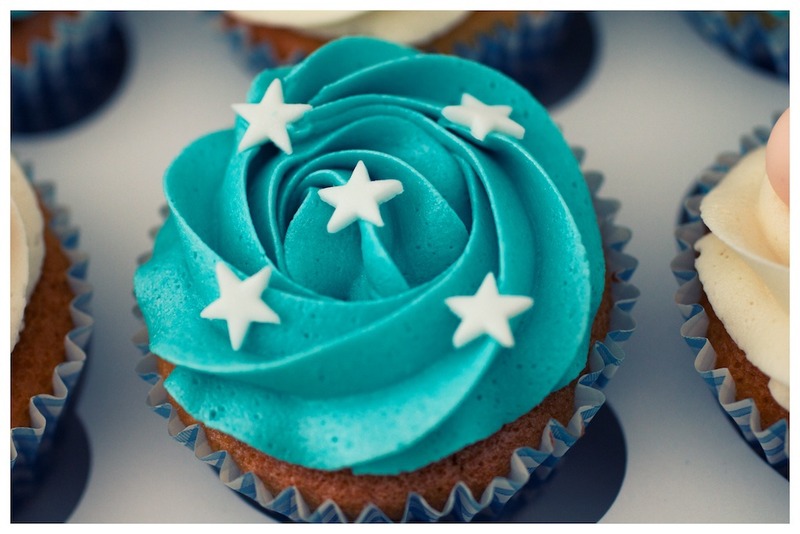 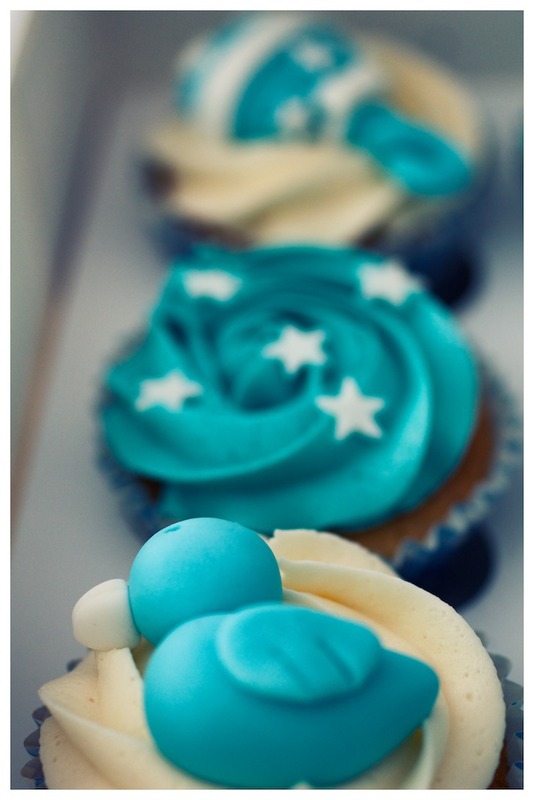 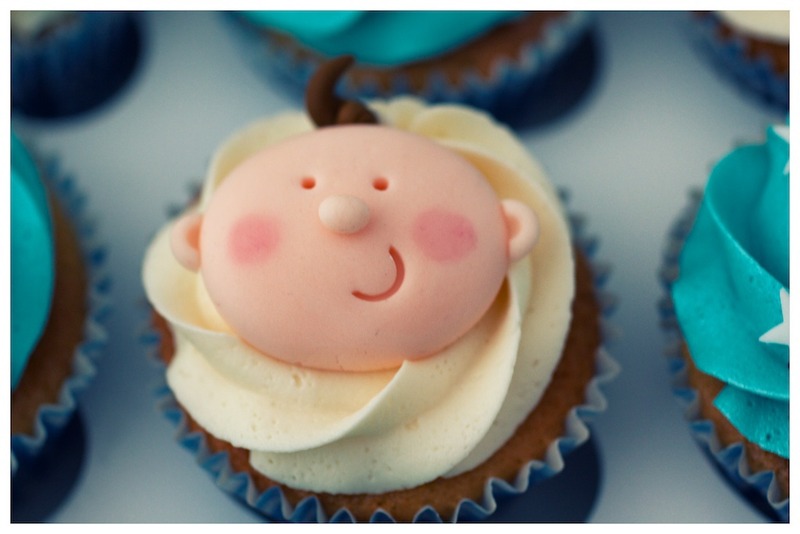 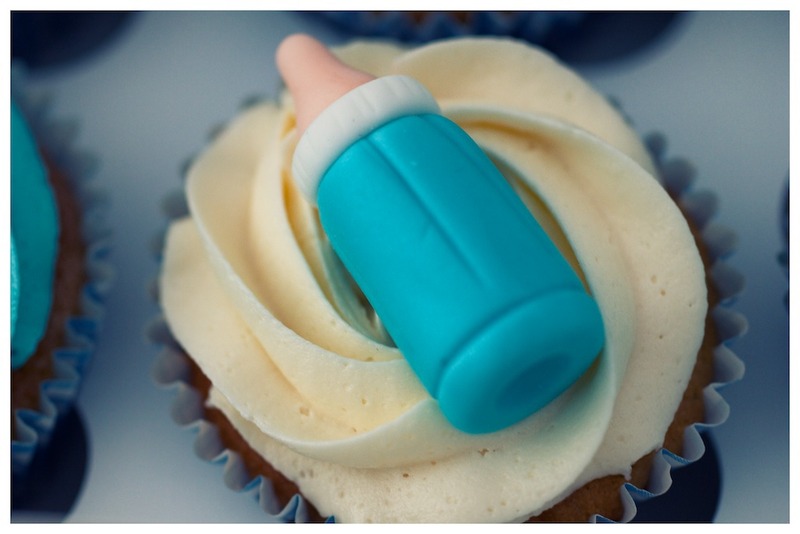 Set of 24 blue & white baby shower themed cupcakes. 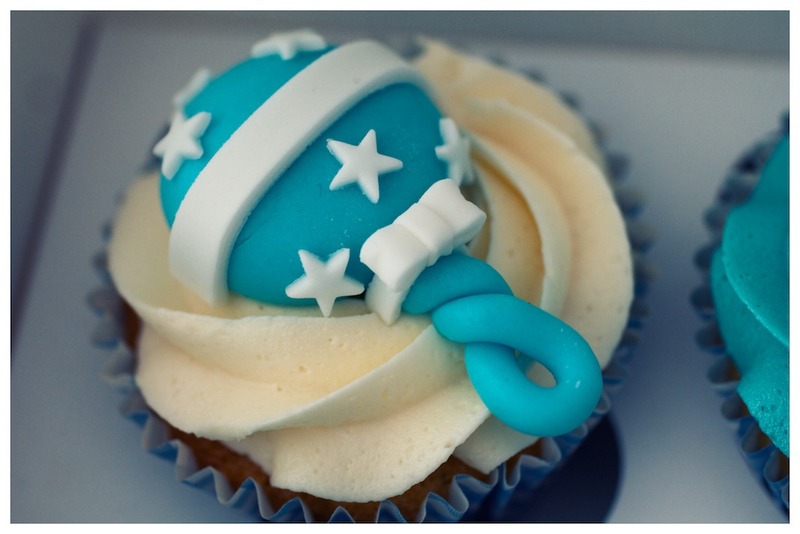 Vanilla sponge cake topped with vanilla frosting swirl. 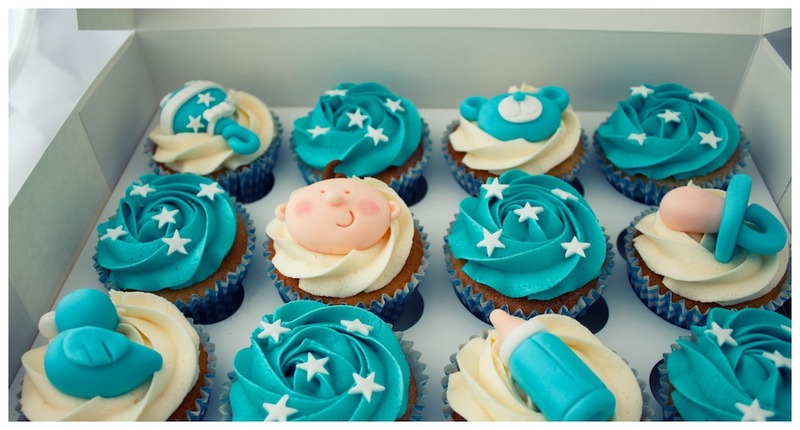 Topped with hand made gum paste decorations of a baby, dummy, duck, bottle, teddy bear and rattle.